As kangaroos are indigenous to the Australian landscape they are designed to live in our climate and forage from the land in the wild. This means they are less destructive and have a smaller impact on the land and environment than other introduced animals that are raised for meat. However there are some things you should consider first before you hop to it and whip up some roo burgers. The commercial kangaroo industry is active in four of the mainland states: New South Wales, Queensland, South Australia and Western Australia and represents the largest commercial kill of land-based wildlife in the world. Between 2010 and 2017, approximately 12.6 million kangaroos have been killed for the commercial industry. Red, eastern grey and western grey kangaroos make up about 90 per cent of the commercial harvest. In 2017, almost 1.5 million kangaroos were harvested across the four active states. The commercial kangaroo industry is guided by a national Code – National codes of practice (commercial and non-commercial) for the humane shooting of kangaroos and wallabies – that is incorporated into state-based nature conservation legislation. Both the Australian Government and state governments have a role in the conservation of kangaroo populations. The states have responsibilities for regulating the harvest and processing industry, while the Australian Government controls the export of kangaroo products through the approval of kangaroo management programs and the granting of export permits. Quotas are set annually and as a proportion of estimated populations, established through surveys undertaken by each state’s wildlife agency. Survey methods vary between and within states depending on the geography of the survey site, and are outlined in the state management plans. Survey methods and frequency also vary between species. The Australian Government Department of Environment and Energy consider that annual harvest levels in the order of 15 per cent of the populations for grey kangaroos and wallaroos, and 20 per cent for red kangaroos are sustainable – this equates to between 1.45 – 2 million kangaroos a year. The rationale for culling is to manage grazing pressure (other farm industries) and to encourage the maintenance of indigenous plant diversity. For more on culling, see Cruelty in Culling. IS EATING KANGAROO BETTER FOR THE ENVIRONMENT? Overall, eating Kangaroo meat is more sustainable and better for the environment than most other meat consumption. As kangaroos are indigenous to the Australian environment they can get by on eating a variety of indigenous scrub and do not rely on the production of grain. Likewise, as they are wild animals they do not need to be farmed in the conventional way, which requires land clearing and the destruction of habitat. Kangaroos also generally eat less than other grazing animals such as sheep and cattle, which places less stress on the land and requires no irrigation or use of potentially harmful synthetic inputs such as fertilisers and pesticides. They are quite literally gentler on the land too, as they have soft, light feet and therefore do not cause damage or erosion to the earth like a large herd of cattle with hooves do. Livestock contribute 70% of all greenhouse gasses that are produced by the agricultural sector, or 11% of all national emissions in Australia. This is due to the methane that many plant eating animals naturally produce in their gut to break down their food. It is estimated that 25% of the global warming we’re experiencing is a result of methane production. Cows and sheep are the biggest emitters of methane emissions and although kangaroos are also ruminant animals and emit methane as part of their digestion they emit far less than cows due to their smaller size. IS EATING KANGAROO BETTER FOR YOUR HEALTH? Kangaroo is a lean meat with less than 2% fat, making it a healthier red meat option. It is also high in protein, essential B vitamins, minerals such as zinc, iron and omega 3 fats and omega 6 fatty acids. Compared to beef, kangaroo contains double the amount of iron and triple that of chicken and pork. Find out more from Gourmet Game’s nutritional fact sheet. Eating wild meats such as kangaroo is also better for your health as you can be sure there are no added growth hormones, antibiotics or chemicals. Kangaroos hold spiritual, cultural and social significance to Indigenous Australians. It should be considered that Aboriginal people play a larger role in working with the government and commercial industry when it comes to management, sustainability and harvesting. Many Indigenous Australians oppose the mass commercial slaughter of kangaroos. Every year for the past decade, over 1.5 million kangaroos have been harvested. This is in stark contrast to Indigenous Australians who enjoyed a largely plant-based diet – animals were only ever harvested on a needs basis to sustain families and tribes. Harvesting kangaroos required (and still requires) special permission within a tribe. Some groups such as Voiceless and Animals Australia have called for the end of the commercial culling of kangaroos and wallabies mostly due to the way they are harvested. One concern is that when female kangaroos are hunted they may have joeys who are still in the pouch or dependent young roos that will be left orphaned. To avoid this some producers will only hunt and kill male kangaroos, however, it is not always an exact science. When examining animal welfare it is important to look at how an animal is slaughtered. Under law, kangaroos must be killed with a single shot to the head. However, as they are in their native habitat in the wild and not in a contained area, this can be difficult. The concern is that some kangaroos may be shot on their body and then escape and die slowly of their injuries. There are mixed statistics available on the number of wounded animals that later die; however, it can be safely assumed that not all shots made are clean and accurate and thus there must be some suffering that takes place. On the other hand, there is no farming of kangaroos in Australia, so all the animals that are slaughtered for meat have lived wild in their native habitat and are truly free range until the moment they are shot. Many people would find this preferable to the way over 500 million animals are raised here in Australia each year, where they are housed in sheds either in tiny cages or close confines, never to see the light of day. According to the Department of Sustainability, Environment, Water, Population and Communities, annual quotas for the slaughter of kangaroos are based on population estimates conducted by each state’s wildlife agency and are underpinned by the National codes of practice (commercial and non-commercial) for the humane shooting of kangaroos and wallabies. A survey prepared for Environment Australia by RSPCA Australia (July 2002) studied the compliance to this Code of Practice and found that commercial shooters are more likely to comply with the code and use humane methods of killing. In non-commercial settings it was thought that while the code provided a good basis it was less enforced. The survey also points out that commercial kangaroo shooters are also required to do training that includes a section on the humane killing of the animal. The proportion of kangaroos that have been killed with a single shot to the head is said to have improved since the code was introduced, although it is hard to monitor as most processors only accept animals with one shot to the head. Recommendations from the RSPCA survey include more enforced inspections of the pelt and heads of slaughtered kangaroos to closely monitor how they are being harvested. RSPCA Australia (2002) also found some problems with the code. For example it outlines 3 methods for killing the dependent joeys and young at foot once the mother kangaroo was killed. Of the methods they said there was “some question over the appropriateness of the techniques (decapitation and head clubbing) recommended for killing pouch young” as they were likely to suffer. Hunting can be a controversial subject in Australia, often conjuring up images of reckless bogans doing doughnuts in paddocks with fox tails tied to their ute antenna. Here we introduce three people who hunt and catch their own meat and seafood. 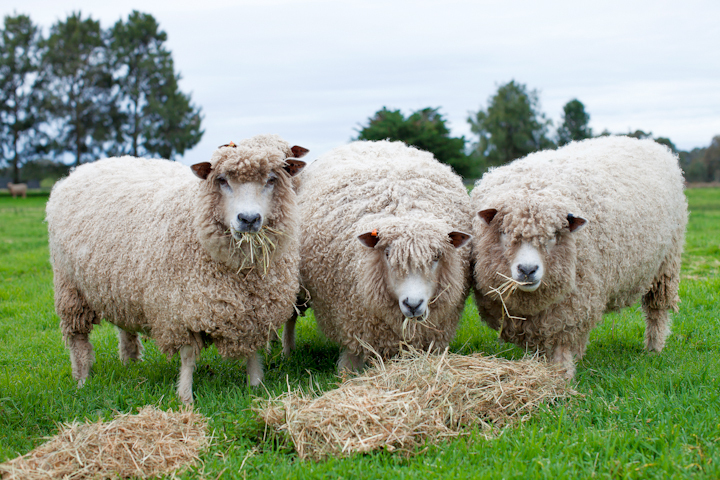 Their reasons and motivations are conservation, animal welfare, health and taste. When you grow your own food, you are more likely to appreciate the resources, time and effort that went into producing just one tomato. To pick and eat that vine ripened tomato that you lovingly watered, protected from the birds and carefully mulched in the hot weather, is to celebrate and savour it. You can also say the same thing about meat. Whether you have raised the meat from a baby animal or carefully hunted it in the wild, taking the time and skills needed to ethically harvest, prepare and cook an animal means your consumption is likely to be a more mindful experience than if you simply bought some pre-prepared packaged meat off a supermarket shelf. The intensive labour involved in sourcing your meat yourself from the wild, will also ensure it’s not something you consume on a daily basis. And harvesting a whole animal usually leads to eating and using every part of that animal so nothing goes to waste. These are some of the reasons why some people choose to hunt their own meat. 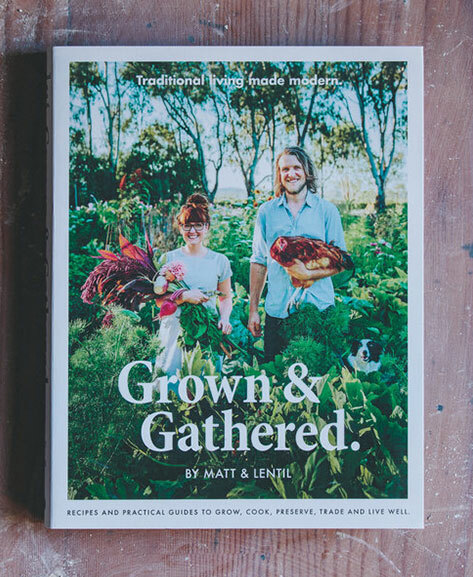 Matt and Lentil of Grown and Gathered describe themselves as gardeners, farmers, authors and educators. 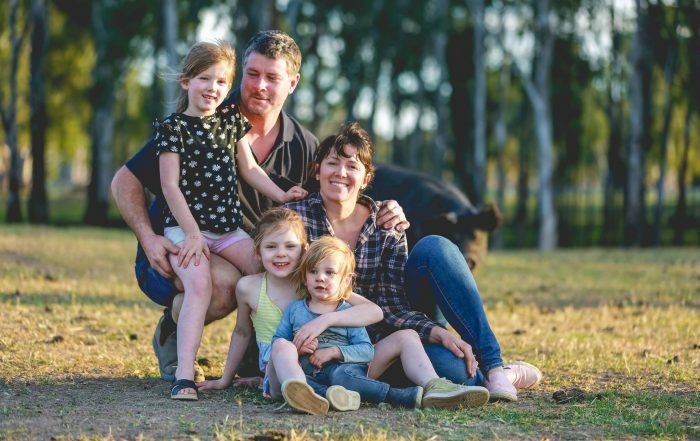 On their 6 acre farm in Victoria they produce, fruit, vegetables, eggs, meat and dairy. They believe in eating a regional diet with 90% made up of plant-based foods. For the other 10% they nurture, hunt, and sometimes seek. Autumn is their main hunting season. By that time of year the wild ducks on their property have finished breeding and raising their young. They harvest about half a dozen each season. As they mention in their book Grown and Gathered – Traditional Living Made Modern, they prefer to hunt in the daylight rather than frightening the animals at night with spotlights. Rabbits and hares are a problem in the area so they hunt them all year round to contain the population. Rohan Anderson is a hunter, grower, gatherer, cook, and blogger. 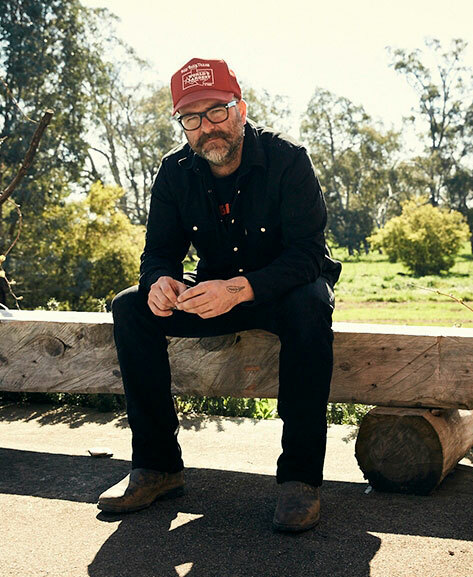 His food philosophy includes hunting, fishing, foraging and growing food in his local area. His books Whole Larder Love and A Year of Practiculture act as a guide for living self-sufficiently. It provides information on living off the land, becoming a responsible hunter and delicious recipes. For Anderson, harvesting your own meat is far less sinister than supporting factory farmed animals. 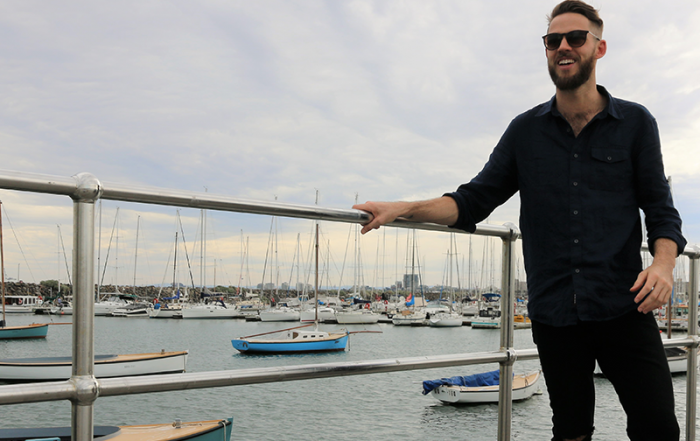 For Matt Fowles of Fowles Wine, real food means home grown veggies and wild caught meat. He even crafted a wine to match wild game called Ladies who Shoot their Lunch and a subsequent range called Are you Game?. 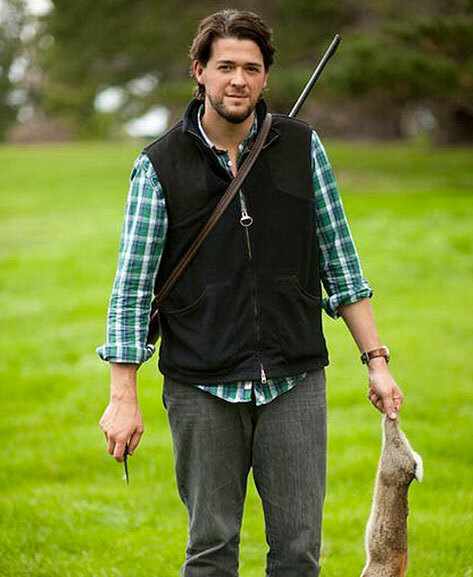 Matt regularly hunts his meat in the Victorian Strathbogie Ranges where he lives. He believes being involved in the process firsthand, means meat eaters are faced with the reality of what they’re eating. He also believes that responsible and experienced hunters provide an ethical alternative to factory farming and many commercially raised animals. Game to see a clip of Matt hunting? Utilising more Australian indigenous ingredients in our cooking just makes sense when it comes to eating sustainably. That’s because such plants and animals are built to thrive in an Australian climate and offer a diversity of taste that our largely European diet doesn’t. The majority of foods – meat, grains, fruit and vegetables – that we eat today have been introduced to Australia, dating back as early as the arrival of the British first fleet. If everyone made an effort to utilise more indigenous ingredients and support the indigenous foods industry we would not only be discovering some new and delicious flavours and building a food culture unique to Australia, we would also be playing a part in protecting Australia’s biodiversity and having a smaller impact on our land and environment. Native species have survived in the wild for thousands of years, adapting to droughts and Australia’s harsh and changing environment. Native ingredients, such as native rice, do not need irrigation to grow, meaning less resources go into growing it and it does not rely on industrial agricultural practices. Commercially grown rice that we grow in Australia today is a semi-aquatic crop that requires flooding irrigation at all times. John Newton, author and restaurant critic calls Australian native foods ‘the oldest foods on Earth’. He has explored the extensive list of native ingredients such as samphire, alpine rice, kakadu plum (which has more vitimin c than an orange), pepperberry, finger lime, quandongs, bush tomatoes and more. But apart from the more popular or well known native ingredients such as macadamias, lemon myrtle or perhaps warragul greens, ‘bush foods’ are still underutilised in our cooking. 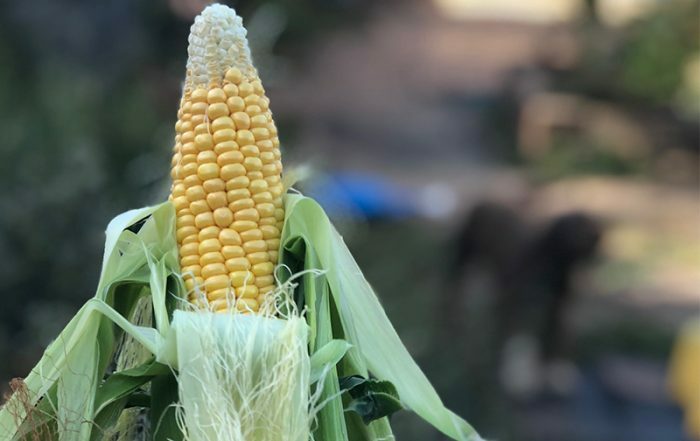 A mix of consumer demand, access to market and education on food preparation and flavour is needed to bring native food into the mainstream Here’s hoping! if you’re going to eat meat as a treat, choosing kangaroo has a lower environmental impact than other forms of red meat, and is considered a lean cut of which is better for your health. When sourcing your meat, choose as ethical butcher or supplier. When considering kangaroo use a supplier who only harvests male animals and that follows the commercial code. Paroo Kangaroo – have a policy to only harvest male kangaroos. Also source sustainable and ethical meat. Something Wild can be found at Adelaide Central Market and also have an online shop. Bushfoods – some indigenous ingredients to add to your pantry.